PORT MORESBY, Papua New Guinea and HOUSTON, Nov. 29, 2012 -- PORT MORESBY, Papua New Guinea and HOUSTON, Nov. 29, 2012 /PRNewswire/ -- InterOil Corporation (NYSE:IOC) (POMSoX:IOC) ("InterOil" or the "Company") announced that negotiations have been completed and the parties have executed the Joint Venture Operating Agreement (JVOA) and related documents associated with its Farm-In Agreement with Pacific Rubiales Energy Corp. (TSX:PRE; BVC: PREC; BOVESPA: PREB) ("PRE"), pursuant to which PRE will acquire a 10.0% net (12.9% gross) participating interest in Petroleum Prospecting License 237 ("PPL 237") onshore Papua New Guinea, including the Triceratops structure and exploration acreage located within that license. This announcement is made further to the Company's announcement on July 30, 2012 that it had executed a Farm-In Agreement with PRE. Signing of the JVOA and related documentation accomplishes one of the key milestones to final completion of the Farm-In transaction, which remains subject to previously announced closing conditions and approvals. "InterOil and its partners are pleased to have completed the JVOA with Pacific Rubiales Energy. The process has enhanced our working relationship and commitment to a mutually beneficial joint venture," stated Mr. Phil Mulacek, Chief Executive Officer of InterOil. About InterOil InterOil Corporation is developing a vertically integrated energy business whose primary focus is Papua New Guinea and the surrounding region. InterOil's assets consist of petroleum licenses covering about 3.9 million acres, an oil refinery, and retail and commercial distribution facilities, all located in Papua New Guinea. In addition, InterOil is a shareholder in a joint venture established to construct liquefaction facilities in Papua New Guinea. PAPUA New Guinea intends to take advantage of the Asian century and will soon count China as its second-biggest trading partner after Australia, the country's leader says. PNG Prime Minister Peter O'Neill says the Pacific nation wants to establish itself as a key energy, minerals and food exporter to the Asian region. His government would devote billions to roads, law and order, airports and ports over the coming years to ensure rural and coastal Papua New Guineans could move beyond producing only for local markets and that liquefied natural gas transport would be secure. "Clearly we are well placed to help meet the growing demands of energy by the Asian region, but it is not going to be without significant challenges," he told the Lowy Institute for International Policy in Sydney today. He said lifting productivity, including agricultural output, would be chief among these challenges. "PNG has never really focused on productivity, and especially on government measures to improve productivity," he said. PNG's relationship with Indonesia - with which it shares a major border - remained crucial, Mr O'Neill said. "But our fastest growing relationship is with the People's Republic of China," he said, adding that China was on track to eclipse all other trade partners but Australia. Mr O'Neill stressed that the burgeoning relationship between PNG and China centred on trade and investment, not security or defence. "We feel that the security issues that have been expressed by many of our traditional partners is unnecessary, we are following the same path that Australia and New Zealand have taken by increasing our relationship with China in trade and investment," he said. Ties between Port Moresby and Canberra would remain strong, he said. "I have no doubt whatsoever that the relationship between PNG and Australia will continue to grow," Mr O'Neill said. THE tenure of BHP Billiton chief executive Marius Kloppers is expected to dominate the company's annual meeting with Australian shareholders in Sydney today. Proxy advisers have given the company a clean bill of health while big shareholders are also much happier about the level of consultation with investors than they were a year ago, meaning Mr Kloppers' future looms as the elephant in the room. Environmental and social activists have flocked to Sydney ahead of the event, with social media suggesting some have travelled from South America and Papua New Guinea. PNG is home to the Ok Tedi copper mine that BHP handed over more than a decade ago after an environmental controversy. Speaking in Canberra on Wednesday, PNG Prime Minister Peter O'Neill said BHP was still influencing the fund that now controls Ok Tedi, and urged the company to keep its distance. ''There is no longer a valid reason for it to continue to exercise any control over the board appointments to that fund,'' he said. Top executives from rival miner Rio Tinto are also in Sydney on Thursday, with the company hosting a long-awaited investor briefing. Multiple analysts believe the briefing could see costs rise on the company's iron ore expansion plans in the Pilbara. The expansion to 353 million tonnes of exports each year is believed to be ahead of schedule, but the persistently high Australian dollar is tipped to cause a cost blowout compared with original estimates. Rio has long suggested that overall capital spending in 2013 will be around $US14 billion, but that number is expected to be revised. The meeting will also be one of the first major outings for Rio's new diamonds boss Alan Davies, and investors will watch closely for any update on the company's plan to divest its diamond assets. Rio has been considering a divestment or restructure of its diamond assets since March, and some have speculated that more value could be generated by spinning them out into an IPO rather than selling them to the highest bidder. "To effectively deliver on these priorities would require a total realignment of the aid program, from small projects in diverse range of areas to major infrastructure projects," he told the National Press Club in Canberra ysterday. Here are pictures of my wanderings through Port Moresby today, a prodigal son back home, after three weeks away in Taipei, Taiwan. I noticed today that the Union Jacks - which went up with much fanfare for Charles and Camilla - are already becoming tattered at the edges! Save us the embarassment, Justin, and do some pole climbing! Oh, and as a last word, God Save the Queen! Papua New Guinea's leader is standing firm on his decision to ban Australian climate change adviser Ross Garnaut from entering his country. PNG Prime Minister Peter O'Neill maintains Professor Garnaut insulted his nation's leaders during a media interview and is no longer welcome there. Prof Garnaut, who is chairman of Ok Tedi Mining, was quoted by The Australian newspaper as saying that with such an accumulation of wealth in PNG, it was "tempting for political figures to think of better ways of using it right now rather than putting it into long-term development". Mr O'Neill said Prof Garnaut's statement was not true and could damage his country's reputation. "As a leader of the country I cannot stand by and allow comments like those to continue," he told reporters at the National Press Club in Canberra today. "It was irresponsible. He has to take ownership of that statement." Mr O'Neill says his government has sought an explanation. 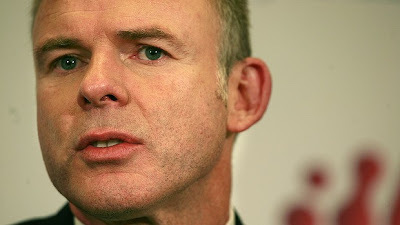 "Some of the explanations he's given to us are not acceptable to us," Mr O'Neill said. Mr O'Neill has previously said Prof Garnaut, who until recently was also chairman of the PNG Sustainable Development Fund (PNGDF) trust, would not be allowed back in until control of the Ok Tedi mine was given back to the PNG people. The trust was given ownership of the Ok Tedi mine, located in PNG's Western Province, by mining giant BHP Billiton. Mr O'Neill claims BHP is running the PNGSDF by remote control from Melbourne and has questioned whether the 37-year-old nation had benefited from the project. The prime minister on Wednesday reiterated his call for BHP to back off. "There is no longer a valid reason for it to continue to exercise any control over the board appointments to that fund," he said. Papua New Guinea's Prime Minister Peter O'Neill promised today to bring stability to the revolving door of Papua New Guinea politics and to crack down on corruption as his government courts multi-billion dollar resources investments. O'Neill and rival Sir Michael Somare had both claimed to be the leader of the South Pacific island nation last year, turmoil typical of PNG politics, before O'Neill was re-elected in August. In the middle of that crisis, corruption watchdog Transparency International ranked PNG 154th out of 183 nations on its global graft index released a year ago, only beating out countries like Somalia, North Korea and Afghanistan. "We have to fight corruption. Corruption is like a cancer. If it is not detected, it simply grows and grows," O'Neill told the National Press Club in the Australian capital, Canberra. "If not reduced, it undermines our efforts to maintain political stability and social cohesion. It is also a strong deterrent to good foreign investment." On his first visit to PNG's former colonial ruler Australia since his re-election, O'Neill said an anti-corruption commission should start operating next year. A special task force -- known as Sweep -- has been investigating graft for the past year and is looking into more than 170 complaints involving around $1 billion of public funds. PNG, a nation of around 6.5 million people, is going through a resources boom and is home to a $15.7 billion Exxon Mobil gas export project, which is due to start production in 2014 and boost GDP by around 20 percent. There is also the vast OK Tedi copper mine and the Frieda River copper project run by Swiss-based global miner Xstrata. Despite such abundant mineral wealth, successive governments have been unable to deliver infrastructure or services to the people, around 80 percent of whom eke out subsistence livings of village farming and small cash crops. Task force Sweep's chairman Sam Koim has targeted politicians and officials who have invested money in the tropical northern Australian city of Cairns, describing Australia as the money-laundering destination of choice. O'Neill said that, as well as plans for the new anti-corruption body early in 2013, parliament was also working on political stability. New laws that will guarantee a grace period of 30 months before a government can face a no-confidence motion, instead of the current 18 month, have passed the first stage of the legislative process, he said. To win power in PNG, leaders must cobble together a range of lawmakers and parties to form a coalition. Lawmakers often change allegiances if offered better jobs from rival parties or leaders, which creates uncertainty and instability. O'Neill said that, since PNG gained independence from Australia in 1975, many governments had faced challenges as early as six months into their terms, even though elections are only held every five years. "That has not created stability at all. It does not give confidence to any investor to invest in an environment as such," he said. O'Neill hoped the new 30-month grace period would ease investors' concerns. An accident has claimed the life of John Lello, a Seventh-day Adventist missionary who was serving in Papua New Guinea through Adventist Frontier Missions. Lello died while felling trees near a remote project site in the South Pacific island nation’s East Sepik Province, a press release from the Adventist supporting ministry said. He was 46. Lello’s wife, Pam, and the couple’s two daughters, Alissa and Abby, have since been flown to Port Moresby, where they were joined by Stephen and Laurie Erickson, another family working in PNG through AFM. AFM Associate Training Director Dale Goodson, who spent 12 years in PNG with the Dowa tribe, and his wife are currently en route to lend additional support, said James Arkusinski, Communication director for the ministry. 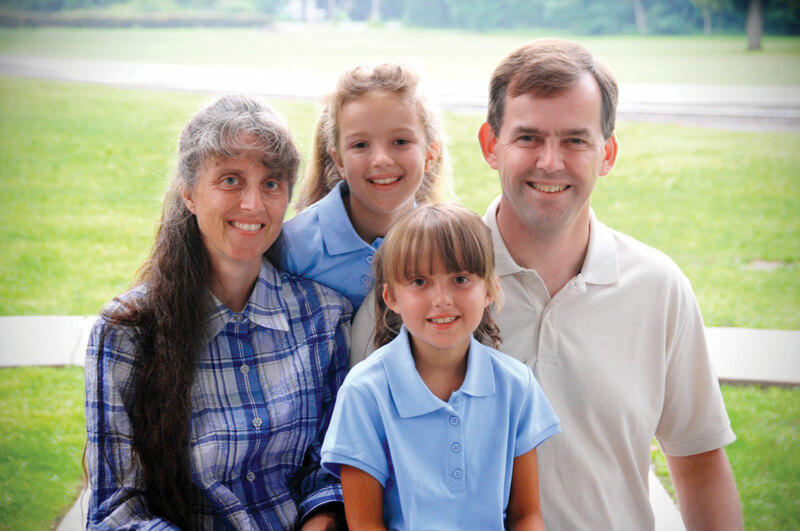 The Lello family had worked with Adventist Frontier Missions since 2009. They finished fundraising and launched to PNG in March. There, they ministered to the animist Ama people in the country’s northwest. The Ama live along a small tributary of the Upper Sepik River accessible only by plane or dugout canoe, Arkusinski said. Lello was born in Cape Town, South Africa. He earned a bachelor’s degree in physics from church-run Walla Walla University in Walla Walla, Washington, United States, in 1991. Later, he graduated from the University of Maryland in College Park, Maryland, United States, with a master’s degree in Science Education. Before accepting a post with AFM, Lello taught math and physics at church-run Glendale Adventist Academy and Spring Valley Academy. Adventist Frontier Missions is a Seventh-day Adventist lay ministry dedicated to establishing church-planting movements among people groups with no Adventist presence. AFM currently has 30 long-term missionary families or single missionaries serving worldwide. The government in Papua New Guinea has handed down a big spending budget with a focus on rebuilding the country's crumbling infrastructure. At just under six billion dollars (K13 billion) it's PNG's biggest ever budget and the government is going to have to borrow more than a billion dollars to fund it. The Treasurer Don Polye told parliament the focus is infrastructure, education, health and law and order. Some of the big ticket items include 200 million dollars to start rebuilding the country's main economic artery, the Highlands Highway, and 140 million dollars to comprehensively restore the Port Moresby General Hospital. The budget predicts growth will fall from 9 per cent this year to 4 per cent next year. Inflation is expected to climb to 8 per cent. Director of PNG's Institute of National Affairs, Paul Barker has told Radio Australia's Pacific Beat that although he considers the budget conservative, the government is counting on the situation in Asia improving. "With a decline in the growth of some of the major Asian economies - like almost recession in India again, Chinese growth back to 7 per cent, this is resulting in lower commodity prices and we're dependent on those commodity prices for getting us the level of revenue that are expected particularly from the mining sector and through taxes," he said. He said infrastructure, education, health and law and order will take priority -- and insisted communities will benefit. "What was concerning me was that there doesn't seem to be anything, as far as I can see so far, for building up the capacity building at the local level - the district, local government level- there seems to be an indication that this would be left to the development partners," he said. This Thursday, a man from Papua New Guinea, with his ‘sticks,’ will grace Australia’s world-class musical stage in Sydney to perform with Yothu Yindi for its final curtain in front of a world-wide audience and amongst Australia’s recent successful artists including, Guy Sebastian, Jessica Mauboy, the Jezzabels, and Miss Higgins. That man is none other than legendary PNG traditional instrument percussionist and contemporary drummer, Ben Hakalitz. The event - the 26th annual Australian Recording Industry Association's (ARIA) awards. This ARIA event will be a particularly special night, when the indigenous band, Yothu Yindi, is to be inducted into the much acclaimed ARIA Hall of Fame. Yothu Yindi, (Yolngu for "child and mother” will then join an exclusive club of Artists that includes the Bee Gees, Australian Crawl, the Seekers, Slim Dusty, INXS, the Saints,Men at Work, Little River Band,Midnight Oil, Kylie Minogue and Mental as Anything. Yothu Yindi’s induction will cement its remarkable place for indigenous Australian artists and in Sydney, the audience can expect to dance to its number one global success track: “Treaty”. “All Artists aspire to one day perform at the ARIAs. "It’s even sweeter to be in a keynote performing act that night. "There’s many great bands lining up, so you need to take the chance and give it your best shot. "Global super-star, Taylor Swift, will also be there as a special guest. "I am thankful for the privilege and journey that I have had with my brothers and sisters from Northern Territory.
" 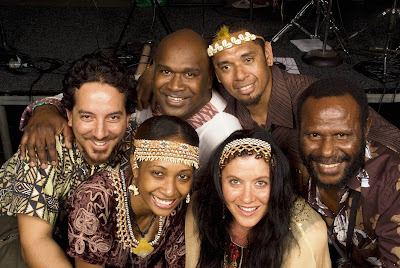 Yothu Yindi deserves to be in the ARIA Hall of Fame. "I can’t express the amount of hard work and commitment that goes into achieving this level of recognition." Originally from Bougainville, Ben was recruited by Yothu Yindi soon-after the band toured Papua New Guinea in early 1990s. Back then Yothu Yindi was a non-mainstream band by Australian standards and seeking its rightful place amongst Australia’s music icons. Ben’s natural, musical talent and local experiences, grabbed the attention of the band’s management during a performance with Sanguma in Port Moresby. With him joining Yothu Yindi for four years was fellow PNG keyboard maestro, Buruka Tau, from Tubusereia village. It seemed surreal, but being recruited was no small feat then. Ben was expected to step into the shoes of his predecessor - international drummer of Village People fame and get ready for Europe. Buruka and Ben did it, and more, touring Europe and then USA. I was privileged to have seen them play in Manhattan, New York City, with. “That was an incredible tour. 32 shows in seven weeks!” exclaimed Ben. Adam Vai Delaney said: “This ARIA awards is going to be a remarkable and memorable moment for Yothu Yindi and, I believe, for Ben. "It’s a shame that Buruka isn’t able to join them. "To be inducted into the ARIA Hall of Fame is truly invaluable and superb.
" It means that the band has, for the last 20 years prior, achieved significant prominence in its work and has had a cultural impact and recognition within the world marketplace. "For Ben to play amongst the musical elite is an awesomeness that we should all be proud of." Adam said: “I stress the cliché; PNG is dripping of creative talent, and a wealth of cultural diversity to draw from and compose musical arrangements from, but the opportunities for standing on the world stage can only be realised if there are progressive leaders to support an industry beyond what is being churned out for radio and bars.
" It’s not about being bureaucratic, or giving seminars about copyright to“Rice imo ianinia”, and blah blah, which is rhetorical. "Melanesian musicians and performers do aspire for grand things, but sadly, it’s fruitless, if there’s no financial incentives, no proper stages, and mentors in their market to develop an industry for world-class acts. "Sports is the big thing in PNG for sponsorships and tireless government bid for a team in the NRL. "You would think those interested in the ‘industry’ at home would learn a few things from it’s developed neighbour and promotion of artists. “I wish Ben the very best as he gets up on Thursday with Yothu Yindi to celebrate this moment. "He stood by them during some difficult times, sacrificed family time, and this is where the rubber has met the road on the way to the largest Hall of Fame in our Pacific." Adam Vai Delaney is Motu and an independent International Development and Marketing Consultant who coined the term “Arc of Opportunity” to describe the Melanesian countries. He had managed the Melanesian funk bank, Tribe of Jubal, that was founded by Ben, Pius Wasi, Airileke Ingram and Richard Mogu and featured Vanessa Quai. Goroka Show committee says "thank you"
Can you profit from this natural gas odd couple?